Newly released high-speed designs in the Nidec UltraFlo® U40G series deliver up to 19 CFM of forced air cooling from compact 40mm x 20mm housings. Static pressure shutoff ratings for the series top out at 1.3 inches of water. The three new tube axial fans are available with a variety of supervisory options, including several tachometer and alarm functions, pulse-width modulated and thermally controlled fan speed circuits. 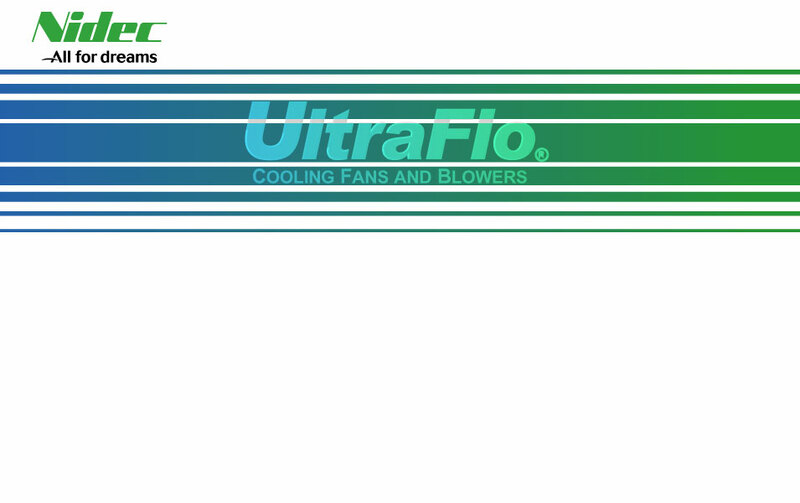 New UltraFlo fans from Nidec are designed to answer worldwide demand for efficient cooling solutions for a wide variety of applications in information technology and consumer electronics. The rapidly expanding performance of servers, PCs, and consumer electronics is accompanied by increased heat output from more densely packed computer equipment and compact electronic systems. Thermal cooling efficiency directly relates to the life expectancy of electronic devices, so unparalleled demand exists today for energy efficient cooling fans that deliver high air flow at high static pressure with an almost inaudible decibel level. UltraFlo is a dedicated cooling solution that meets heat removal challenges by achieving industry-leading levels of air performance and quietness. UltraFlo models are currently offered as tube axial fans, vane axial fans, and hybrid designs with ball bearings or with the company's newly developed NBRX sleeve bearings. NBRX is an oil-impregnated, sintered-metal sleeve bearing developed from earlier NBR (Nidec Bearing Revolution) technology. It uses a lubricant that is highly resistant to breakdown and evaporation, making the bearing significantly less subject to wear. The NBRX design also uses strong vertical magnetic force to stabilize spin-axis orientation of the fan impeller shaft, enabling extremely low vibration in high-speed rotation.  UltraFlo is a brand trademark of Nidec Corporation. Beyond Components is a franchised distributor of Nidec UltraFlo cooling fans and blowers and Nidec Servo fans.